Honda Ireland has become the official car partner of this season’s Guinness PRO14 Final Series. 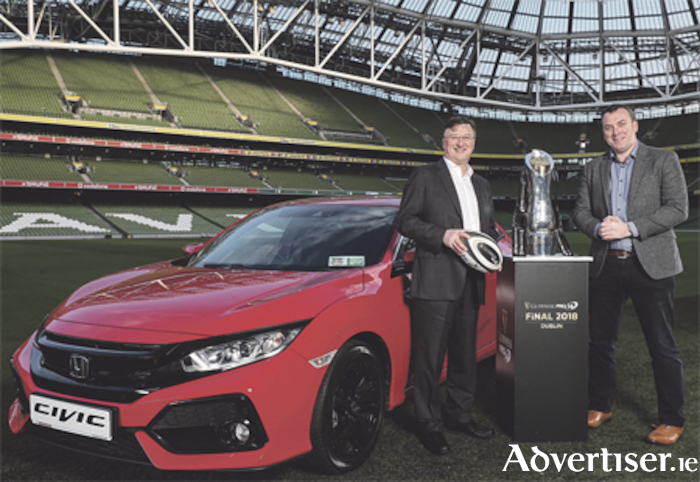 The first ever Guinness PRO14 Final takes place in Dublin on May 26, and throughout all six games of the final series, Honda will be the driving force in fan engagement as the Championship journey promises to provide another historic game at Aviva Stadium. Fans of the Guinness PRO14 will be able to experience the benefits of this exciting partnership, with Honda providing exclusive offers to supporters such as access to the Captain’s Run ahead of the final, providing competitions for mini rugby and women’s rugby, while bringing experiential events to games throughout the Final Series. Honda Ireland has become the fourth partner to the Guinness PRO14 Final Series in what has proven to be an historic campaign for the championship after expanding into South Africa.